The installation explores the work of the Francis Crick Institute, a place dedicated to understanding the fundamental biology underlying health and disease. The artist has created this stunning digital artwork by juxtaposing and overlaying hundreds of film clips collected through unprecedented access to the landmark building, the scientists and the research taking place inside. 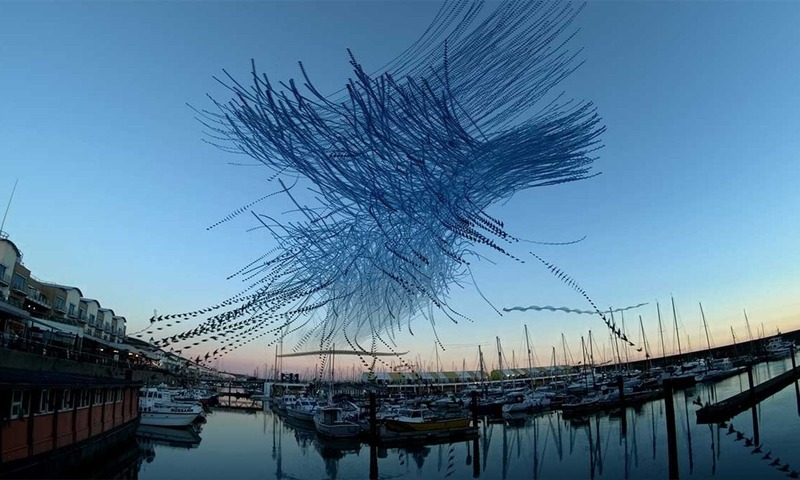 The title refers to the creative process at the heart of both artistic and scientific creativity and alludes to the flow of genetic information in molecular biology. In May’s own work he frequently describes entering a flow state when he edits and layers film or writes the bespoke software he uses to create his artworks. Similarly, scientists describe entering flow states as they perform repetitive, rhythmic tasks in the laboratory. The work explores the similarities between artistic and scientific creativity. 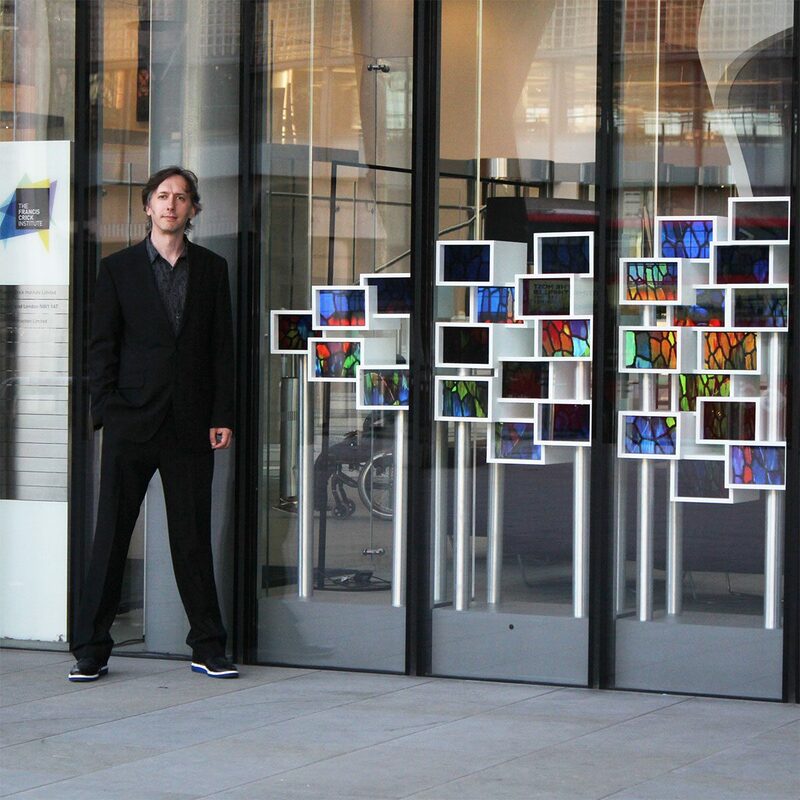 Flow State will be situated in the front window of the Francis Crick Institute, opposite St Pancras Station. The interactive sculpture changes as viewers approach it, revealing new details about the research and the life of the institute. It is controlled by a complex network of Raspberry Pi computers, one per screen. The reverse of the sculpture reveals a stunning light installation based on a sequence of DNA, the structure of which was co-discovered by Sir Francis Crick himself.